Phin has two driving passions in his life. I wish I could say they were G’Joe and I, but they are balls and birds. We spend a lot of time these days “buhdie” watching, be it in the virtual word while watching the same 2-minute trailer for Rio or in the actual world while visiting the ducks at a local lake. 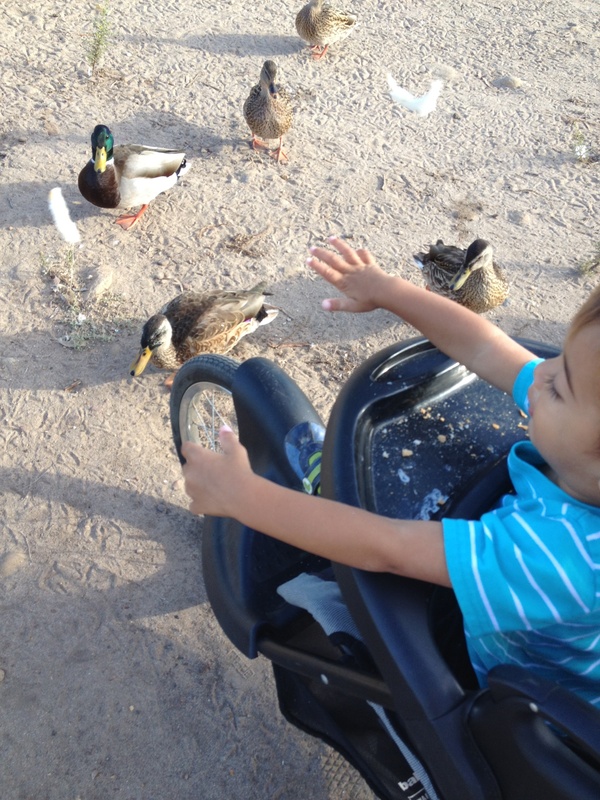 Ducks clearly do not have an avian equivalent of the proverbial expression, “Don’t bite the hand that feeds you.” We learned that one the hard way last week, as an apparently starving or overly aggressive duck began to peck at Phin’s little crumb-filled fingers. Poor little fella looked like a dear friend had betrayed him as alligator tears filled his eyes, “Et tu, ducky?” But he could not be dissuaded long from his true passion. The love of birds is still alive and well in this household. 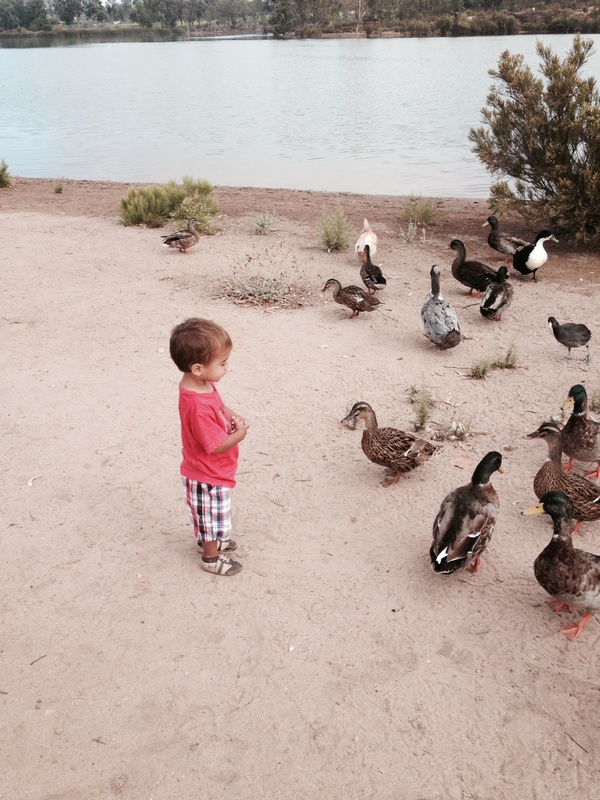 I have wised up, however, partly in fear that a duck will come after me, but mostly for the sake of protecting my child from his own blinding passion. 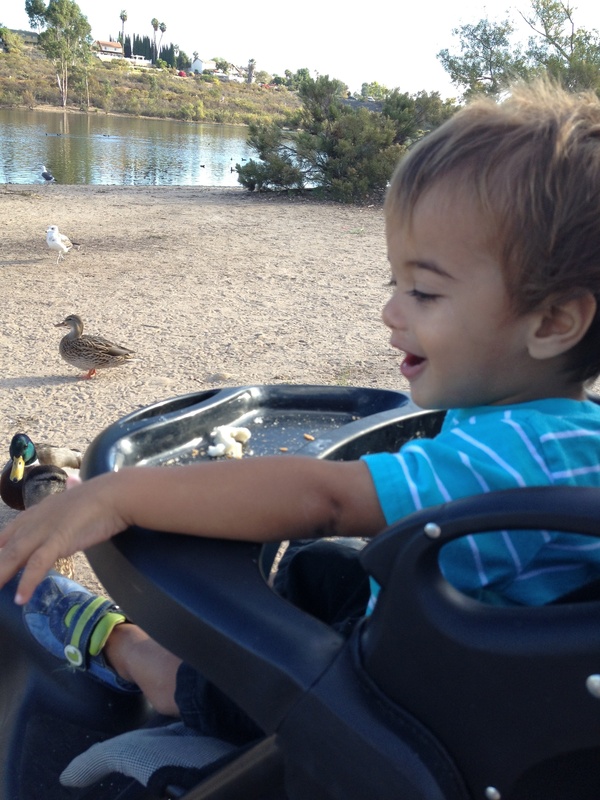 I now keep Phin in the jogging stroller so that we are the alpha duck. It is such a joy to watch his little face light up as they crowd around him. The picturesque scene quickly becomes a feeding frenzy, as little ducks make disproportionately loud squawks in an attempt to intimidate the larger, more dominant ducks who are stealing all the bread. Cute little duck feet move from being flippers to duckie weapons as they step over each other for one little crumb. 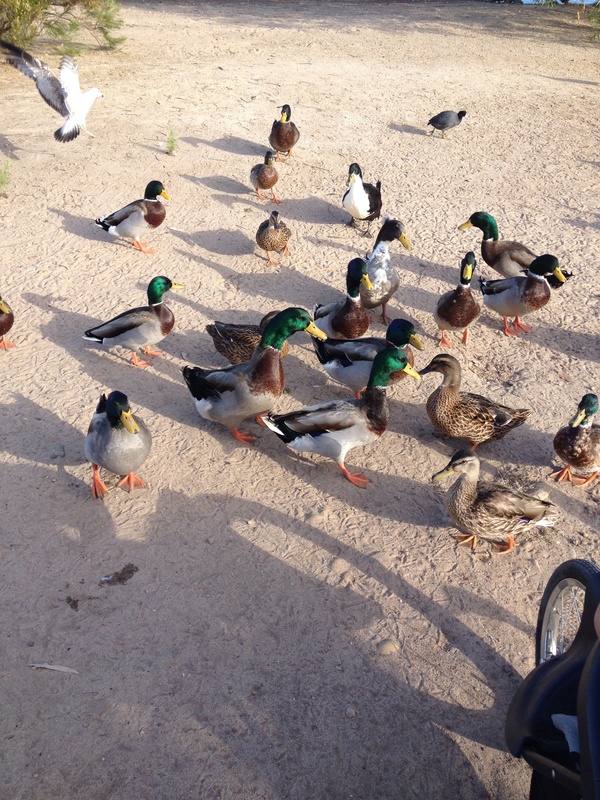 The ducks know what I know, that there is a limited supply of bread and a seemingly unlimited supply of ducks. The ducks and I have more in common than I care to admit. When threatened, when afraid that there is not enough to go around, we do the same thing. We panic and compete in a fight for survival. So often I live frantic and fearful, convinced that I have to “get mine” and make things happen if I am to survive. Stepping on other ducks around, forcing my way, ensuring my needs be met at any and all costs. God was reminding this morning that He is the God of surplus not scarcity. He has ample bread. He sees every little duck and has plenty to go around. And His supply is not a bag of stale crumbs, but an unending supply of the Bread of Life. Psalm 104 filled my heart and mind as Phin and I walked back to the car, the ducks having long since abandoned us now that we were out of bread. They all wait for You to give them their food in due season. You give to them, they gather it up; You open your hand, they are satisfied with good. You hide your face, they are dismayed. You take away their spirit, they expire and return to their dust. You send forth your Spirit, they are created; and you renew the face of the ground. Lord, you have all good things hidden up in You. You are our greatest need, our greatest good. When you give abundantly , let us gather gratefully. When you wisely withhold, let us trust the heart that closes the hand.